Ski, snowboard or snow tube, it’s up to you (or, do a little of all three). In NEPA, when it’s cold, we make the most of it. On any given winter weekend, you’ll find people on the slopes, on the trails, in the shops or reclaiming their childhood with a trusty sled on their favorite, local snow-covered hill. We love being outside. We don’t let a little winter stop us. But when it comes to the most perfect day of winter fun, you just can’t beat Montage Mountain Resort. 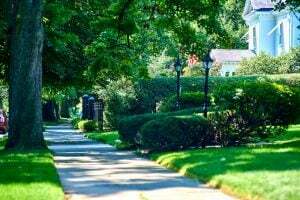 Located in the far south end of Scranton and only twenty minutes north of Wilkes-Barre, this popular ski resort has become one of the region’s most celebrated cold weather destinations. There’s something for everyone at Montage Mountain. It doesn’t matter if you’re a seasoned pro or if you’ve only recently resolved to have more fun in 2019. Montage Mountain Resort exceeds all expectations. 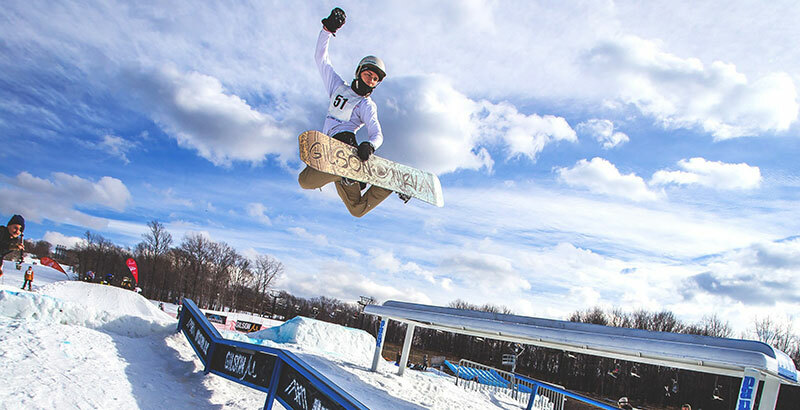 With over 140 acres and 26 trails ranging from beginner to expert, a snow tubing park featuring some of the longest lanes in Pennsylvania, and a terrain park that welcomes gravity defying snowboarders and skiers, Montage Mountain is the go-to winter spot for locals and visitors alike. There’s plenty of mountain for everyone. And if speed is your thing, look for Montage’s famous Northface slopes. That’s where you’ll find White Lightning – the 2nd steepest trail in the East, along with several other black diamond and double black diamond trails. For the less daring skiers, there are also 17 intermediate and beginner trails. Montage Mountain also offers Ski School, where new skiers, rusty skiers or even the tiniest skiers can pick up the basics and be shredding down the mountain in no time. Maybe zooming down a mountain on skis is just not your thing. Grab your board and hit up the terrain park. You can try out new tricks or perfect the old ones. With a wide variety of ramps, rails and lips, there’s no shortage of high-flying fun. Or just be a kid again. 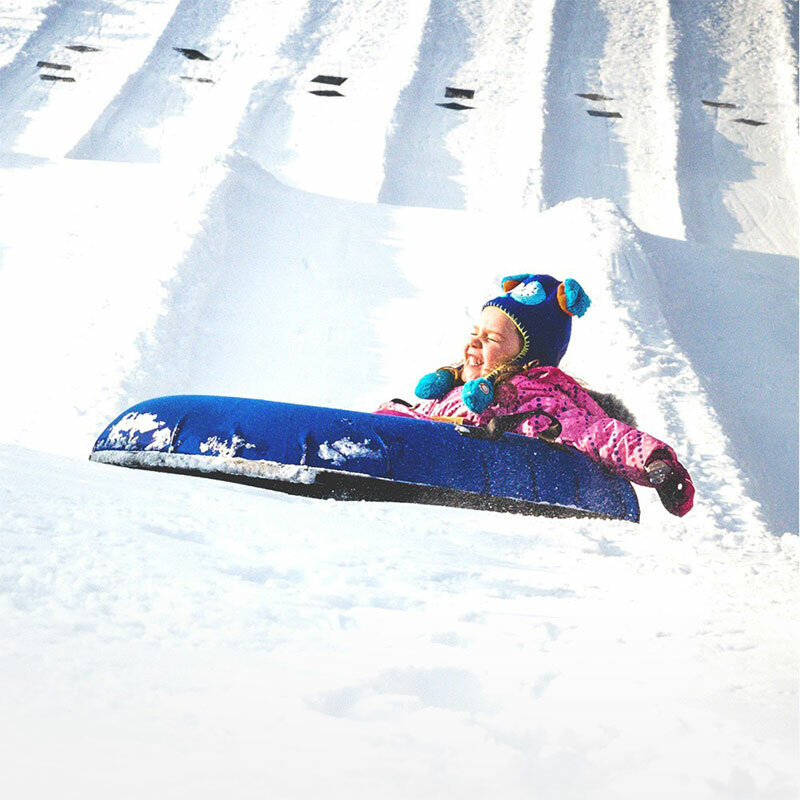 Reclaim your childhood in the gigantic snow tubing park. It’s just like sledding, except the hills are much bigger and way longer. And, best of all, you don’t have to drag your tube all the way back up the hill (they have a conveyor lift for that). The whole family can get in on the fun with 10 lighted lanes and several fire pits for keeping warm between runs. And after all that…you’ve got to be hungry (or thirsty). When you’ve worked up an appetite, or if the cold is just starting to get to you, stop in to Montage’s Slocum Hollow Bar & Restaurant. The menu features classic American fare like cheesesteaks, burgers and flatbreads. And the beer list can’t be beat. For quicker eats, stop by the Montage Mountain Resorts Food Court. From fresh, hot pizza and burgers to ice cream and coffee, you’re guaranteed to find something to warm you up. Sometimes after a long day of zooming down the trails and over the rails, the thought of driving all the way home is enough to spoil your mood. Luckily, these fine local hotels are merely minutes from the slopes. Be brave. Take a dip in Montage Mountain’s icy cold pool for a good cause. This annual event raises funds for local individuals battling cancer. It’s free to watch and $35 to join in the chilly fun. 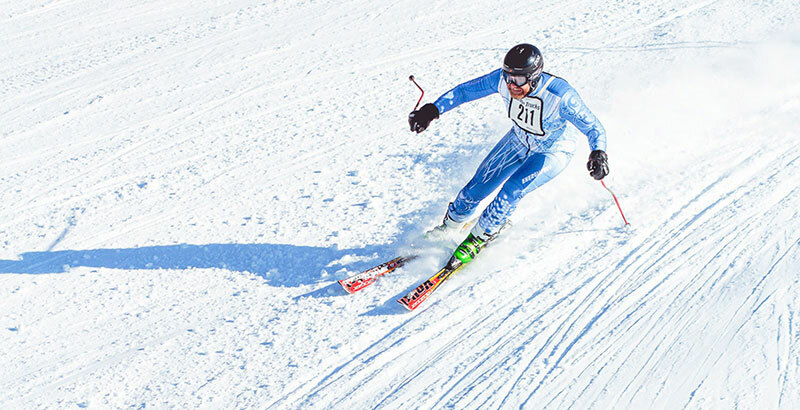 Test your mettle on the slopes at this exciting one-day event. Racers in both the Slalom and Giant Slalom will go head to head in Olympic-style Alpine events. Race all day for $35. Participants must register in the main lodge between 8:15 a.m. and 9:15 a.m. Spectators are always welcome. Join Montage Mountain employees and friends in February for this spectacular night of live entertainment, prize giveaways and a lighted ski parade down Main Line. The evening will be capped off with a stunning musical fireworks display just outside the lodge. Every Thursday, gather your team and head to Montage for this fun, high speed competition. Between 4 p.m. and 9 p.m., teams of up to 15 skiers will battle for the best time on Switch Trail. Teams will be honored at the end of the season with an awards night and dinner at the end of the season. 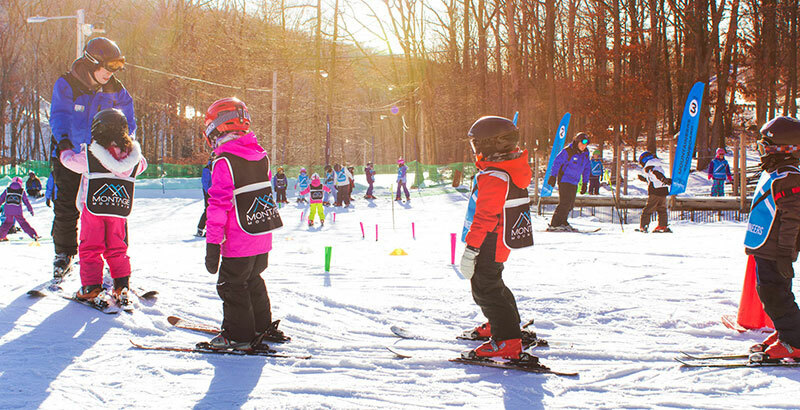 Skiers aged 6-20 are welcomed to participate in this open-style race on the Switch Trail. Each racer will offer up their best of two timed runs. Sponsored prizes will be awarded in the lodge following the event. Just about every Sunday night and all day Thursdays, college students can enjoy the slopes for an unbelievable price. Just show your college ID and get a lift pass and rentals for only $25. Grab some friends, brainstorm your most unique design and build the perfect cardboard sled. Now, you just have to get it to cross the finish line. This silly annual event pits teams of cardboard sled builders against one another to compete for prizes. 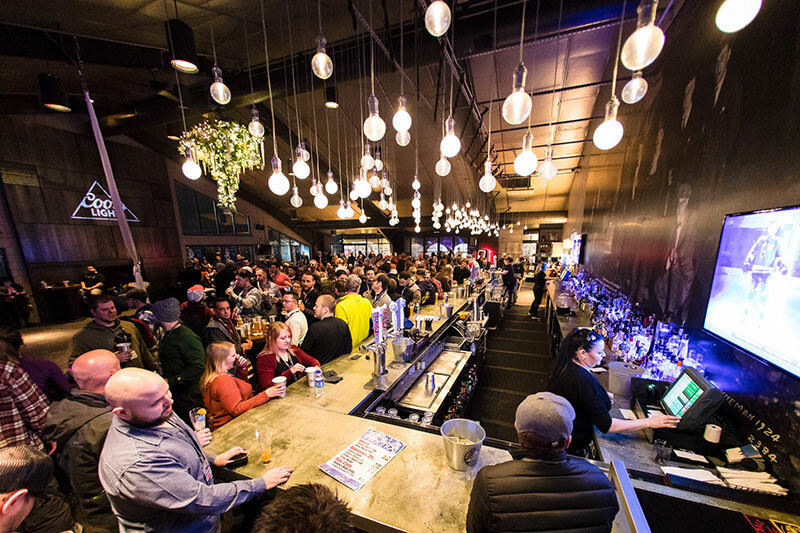 Head to Montage Mountain for this (near) end of season bash. There will be live entertainment, pond skimming and so much more. There’s no better way to celebrate the end of another fantastic ski season on the mountain.